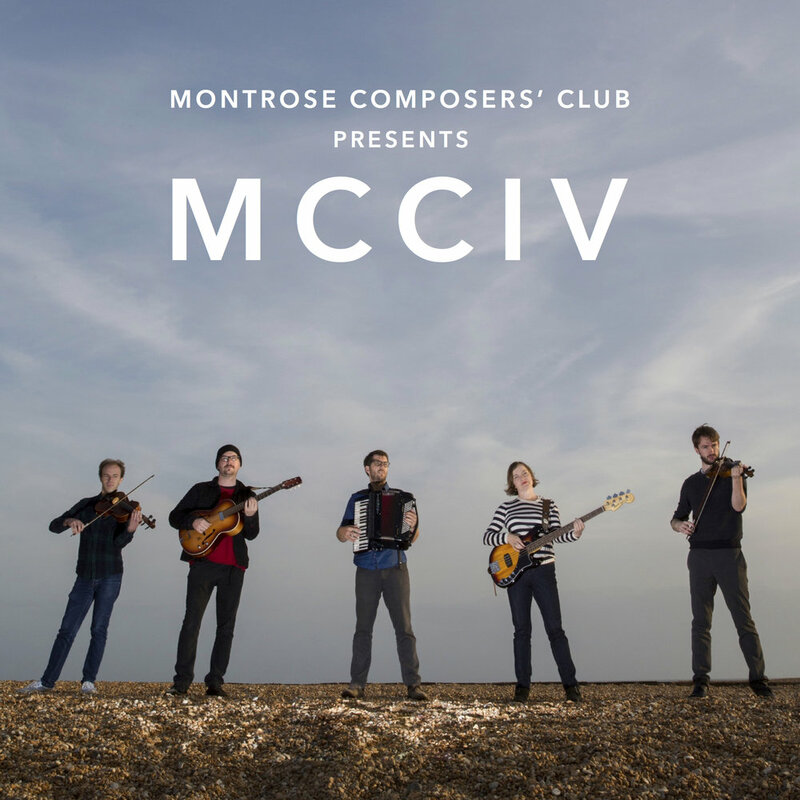 Montrose Composers’ Club is a group of like-minded composers based in East Kent who meet regularly to try out new ideas, perform their music and promote it to the wider world. The MCC was founded in September 2015 and they convene at Montrose House in Folkestone, Kent. The Club comprises of local composers Aidan Shepherd, Ian Fleming, Matthew Brown, Anna Braithwaite and Phil Self, who all studied classical composition. Their eclectic careers have lent their writing flavours of folk, jazz, cabaret and electronics, allowing them to create genre-defying sounds for savvy ears. The MCC are currently writing a piece for orchestra to be workshopped by the City of Rochester Symphony Orchestra in January 2019. June the 1st saw the MCC conducting the first in a series of workshops in preparation for this new endeavour. They began their exploration into how to write together as a group and looked at defining what their group style was as well as looking at their strengths as individuals. Watch this space for work in progress over the coming months. The Montrose Composers Club presented their fourth concert at Profound Sound Festival 2018. Each member wrote a piece to be performed against the backdrop of 15 tape cassette players all playing specially prepared tape loops. These pieces were performed for the first time at MCCIV, on Sunday 11th February 2018 in Folkestone and then again at the experimental music night, in Canterbury, MCCIV also saw collaborations with sound artist Liz Hayward and action artist Helen Lindon along with performances by MCC regulars Flo Peycelon (violin), Karen Jolliffe (violin), Sarah Boxall (cello) and new collaborators Nicola Burnett Smith (clarinet/vocals) and Craig Gell (percussion). On Saturday 27th January 2018 MCC members Phil Self and Anna Braithwaite invited the folk of Folkestone to try something new for 2018 and make some music, with the Montrose Composers’ Club. 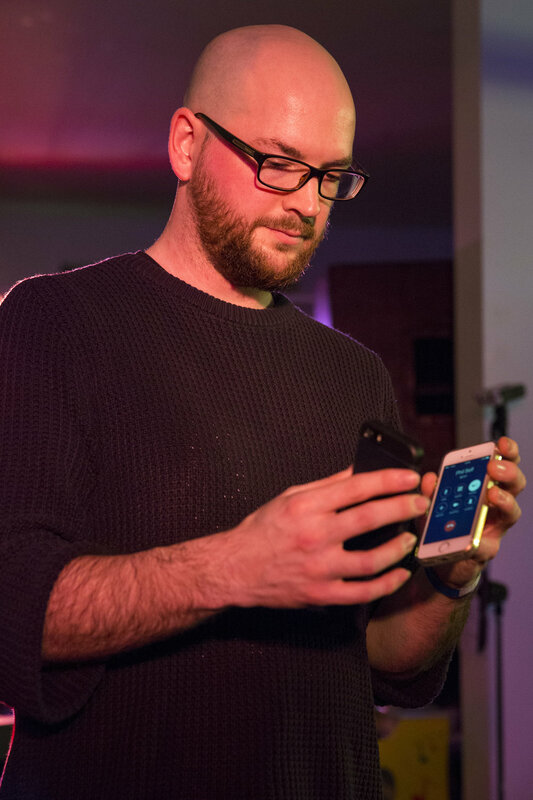 Participants created their own sounds in Phil' s ‘mini studio’ using a granular processing app, samples and live instruments. 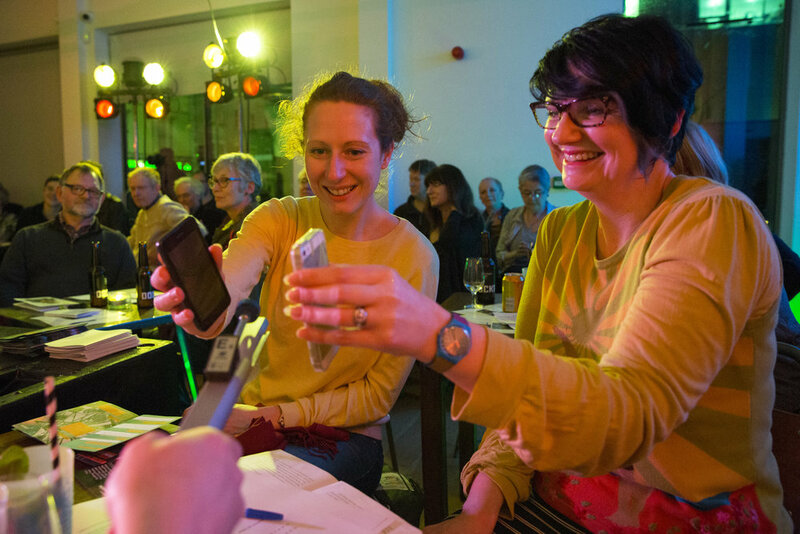 Elsewhere Anna help people create and record their own tape cassette loops, whilst regular MCC collaborators Helen Lindon and Stewart Hughes encouraged children, OAPs and everyone in-between to create a large scale graphic score. At intervals the whole group would get together to form an improved orchestra which would play the graphic score 'live'. The MCC are excited to be part of a new event which coincides with the Folkestone Triennial called 'Club Night'. Between 7-9pm on October 5th 2017 local artistic clubs and associations, who usually meet privately, will hold open meetings in shop windows on Folkestone's Old High Street. Passers by and those on the map led tour of the event can enjoy listening to the MCC rehearse new works and give feedback or even join in! We hope to see you there. The MCC have recorded five pieces of original music from their recent concert MCCIII. Watch this space for more details of how to obtain a copy. SATURDAY 3RD jUNE 2017 at Turner Contemporary, Margate. 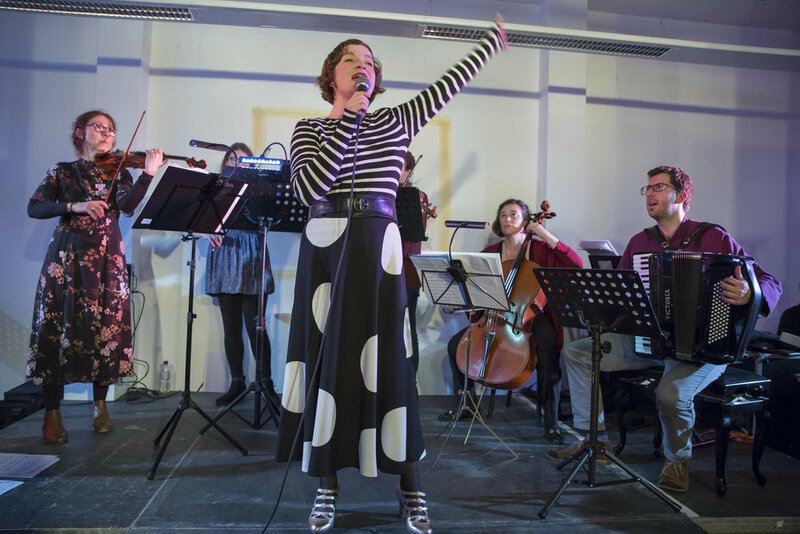 As part of a festival of experimental music the MCC and special guests Helen Lindon and Sam Bailey performed in the beautiful surroundings of the Turner Contemporary gallery in Margate, Kent. Friday 3rd Feb. 2017 at the brewery tap, 53 Tontine St, Folkestone CT20 1JR. 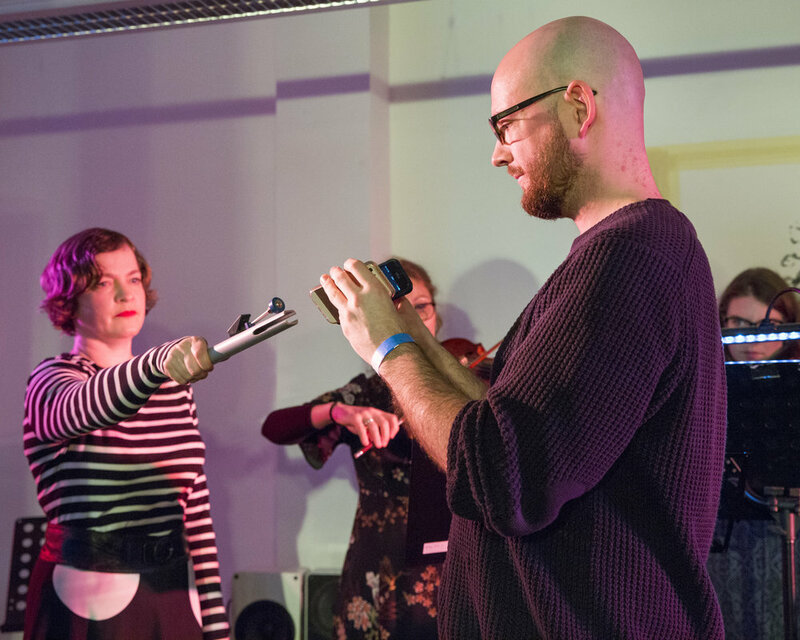 The MCC returned to the Profound Sound festival with more weird and wonderful new sounds for string quartet, piano, accordion and a host of other instruments and objects. They played contemporary classical music with a casual attitude towards convention at a festival where everyone is welcome! The MCC are continuing to explore 'games' as an inspiration for new music, in a collaboration with graphic artist Myah Chun Grierson and a local artist Helen Lindon. Using the idea of a Chinese whisper the project began with a piece of text, this inspired a Graphic score by Myah, an improvisation by the MCC and a live piece of art by Helen. Everyone agreed that the live are created behind the players really give a unique energy to the performance. We hope to continue work on this project throughout 2017. The MCC were delighted to be asked to curate an evening of new music at the ever popular Free Range series in Canterbury. There were premieres of new works as well as highlights from MCCII written for string quartet, piano, accordion and a host of other instruments and objects. 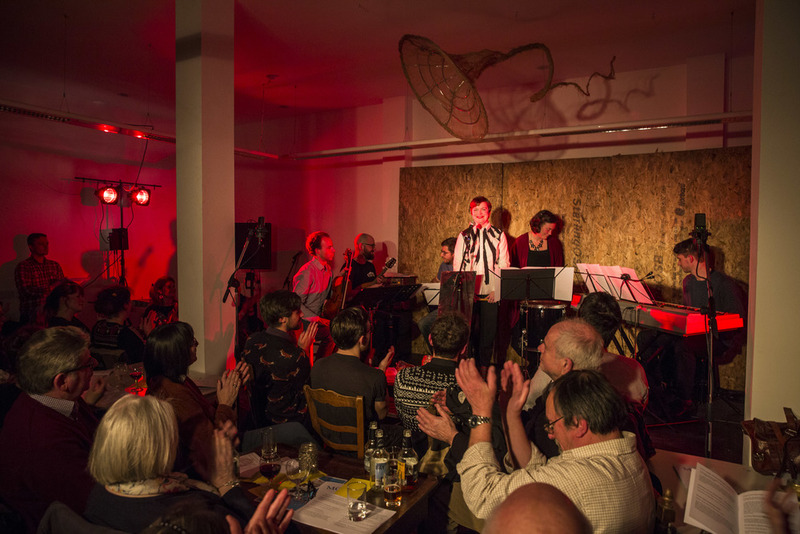 Free Range is an award-wining series of experimental music, film and poetry events which happen at 8.30pm every Thursday from October to March at Water Lane Coffeehouse in Canterbury, Kent. All events are free entry. The club's second concert MCCII took place on October 2nd 2016 in The Waiting Room on Folkestone Harbour. 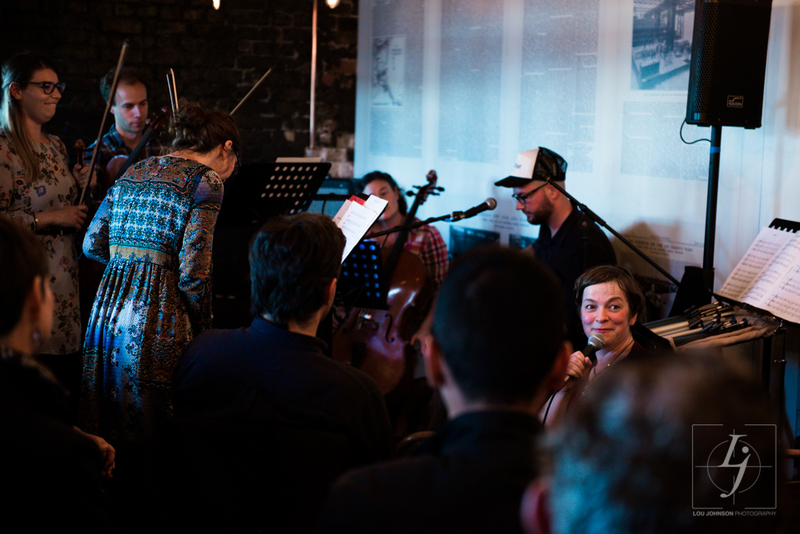 MCCII saw the group joined by a string players (Flo Peycelon - Violin, Karen Jolliffe - Violin, Matt Brown - Viola and Sarah Boxall - Cello) for a performance of seven new pieces for string quartet, voice, hand bells and a host of other instruments. This informal performance was part of the Folkestone Fun Palace festival and included a chance for the audience to perform with the MCC and improvise some new music. MCC member, Aidan Shepherd, launched a new album of his work with band Arlet entitled 'Big Red Sun' in March 2016. To purchase a copy of the beautiful limited edition cd or to catch them performing live, click here. Please listen to a taster from the new album below. 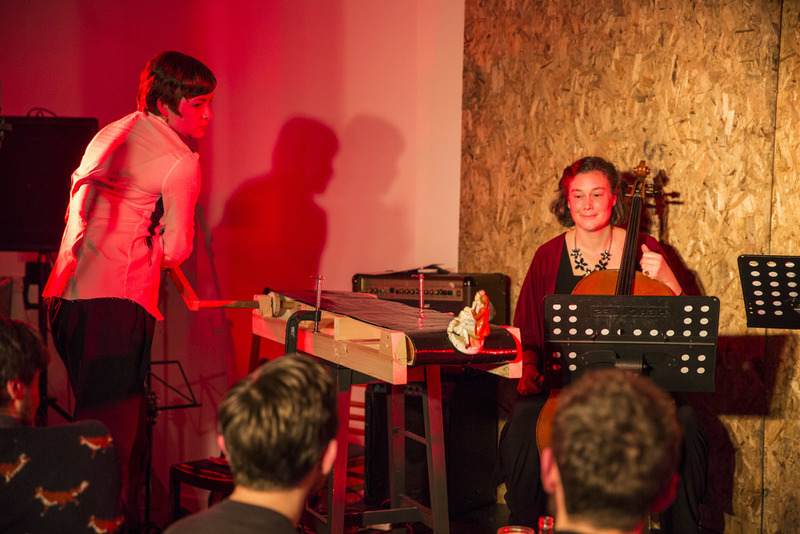 The debut concert from the MCC on 12th February 2016 formed part of the 'Profound Sound' festival, a weekend of new music and sound art (co-curated by Folkestone Quarterhouse and Folkestone Fringe), which ran from 12th-14th February in Folkestone, Kent. 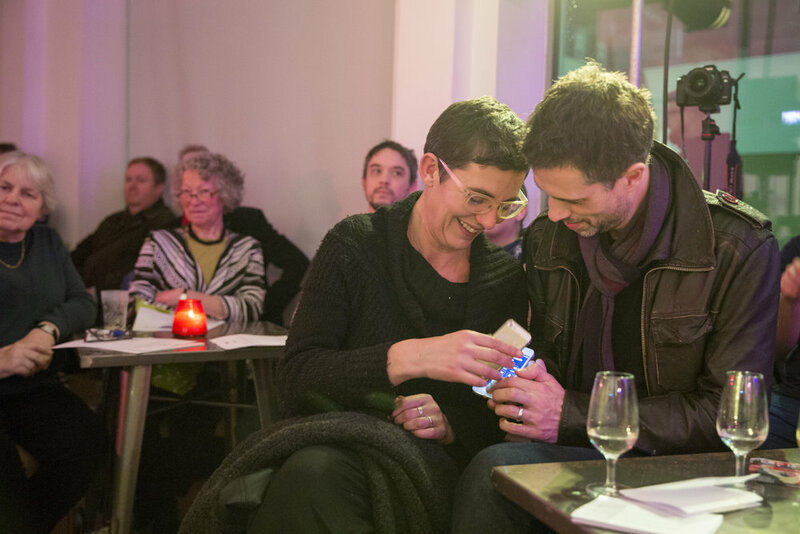 During this sold out event the five-strong collective premiered seven new pieces written and performed by the members and their special guests. 'Fait Accompli' by Anna Braithwaite. fait accompli /, feɪt əˈkɒmpli,French fɛt akɔ̃pli/ noun noun: fait accompli; plural noun: faits accomplis A thing that has already happened or been decided before those affected hear about it, leaving them with no option but to accept it. To hear about future MCC events please sign up to our mailing list at the bottom of this page. Cadavre Exquis, exquisite corpse, head/body/legs, whatever you call it it's a really fun game and has been a favourite of mine for a long time now. It's always quite nerve-racking to have your much cherished composition played for the first time on real instruments. Of course I had heard my string quartet before, but this was on virtual instruments that can somehow play your music both perfectly and horrendously at the same time.